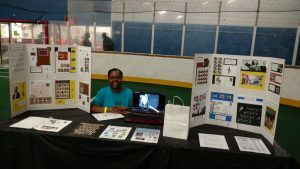 NMAAS has had the opportunity to be featured on blogs and local newspapers. 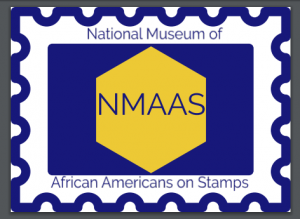 The most recent one was on ExemptMeNow.com – Profile for National Museum of African Americans on Stamps. We are busy setting up travelling exhibits, maintaining the virtual presence and preparing for a partnership with the Edwardsville, IL library on Sunday, February 18, 2018. We are preparing stamp kits for kids to be handed out at this event. If you would like to assist in this effort please donate at www.paypal.me/NMAAStamps. 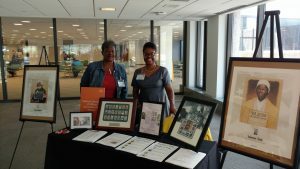 NMAAS shares items from the personal collection of Charlene Blair that consists of stamps, first day covers, souvenir pages, posters, and other items. It concentrates on U. S. African Americans on Stamps. Booker T. Washington was the first African American male and Harriet Tubman was the first female. There are 40 stamps in the Black Heritage Series (BHS) as of 2017 but there are hundreds of other stamps to be shared. BHS is the oldest commemorative recognized by the U. S. Postal Service. 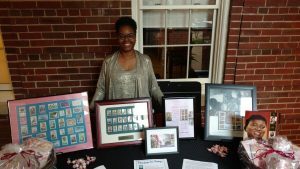 We are thankful for the award winning website maintained by the Ebony Society of Philatelic Events and Reflections (ESPER) for providing content to share. We are members and would be happy to sponsor your membership #810. Moving4Ward Ministries event bringing awareness about sexual abuse. Like art stamp collecting can be therapeutic. Wells Fargo Advisors Community Day. Nonprofits had an opportunity for exposure and to share information about their organization with Team members. PreacherWoman’s Conference. We raffled baskets as a fundraiser and got several inquiries about setting up a display at Churches and other events.